The Alabama Trucking Association is seeking candidates to fill an upcoming vacancy for President & CEO. 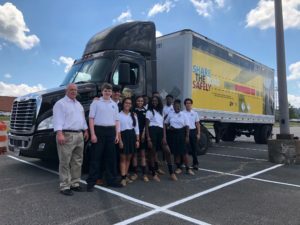 The Alabama Trucking Association through its sponsorship of Truckers Against Trafficking has been long-time supporter in the fight to end human trafficking and commercial sexual exploitation. Professional truck drivers from the American Trucking Associations’ Share the Road highway safety program offer driving tips ahead of the busy Thanksgiving weekend. The Alabama Trucking Association has announced its speakers and entertainment for its 80th Annual Convention & Meeting set for April 26, 27 and 28 at The Hilton Sandestin Beach Golf Resort & Spa in Destin, Fla.